A footwear technology made famous in “Back to the Future II,” and one sci-fi fans have been waiting for since the ‘80s, is finally a reality: self-tying shoes. 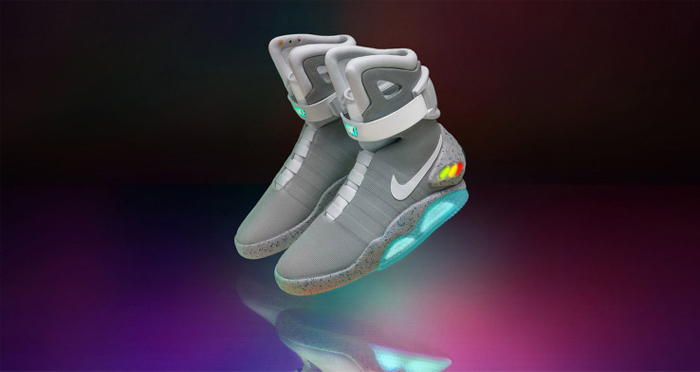 While the “BTTF” recreated Nike Mags won’t be for sale (89 pairs will be raffled, with proceeds going to the Michael J. Fox Foundation), Nike is letting the rest of us in with the HyperAdapt 1.0 self-lacing shoe, on sale in November. Active Junky is interested to see if BTTF performs or if the tech is ahead of its time. Watch the demo video here.